This page is about a feature exclusive to Pro subscribers, or to players in a Game created by a subscriber. If you'd like to use this feature, consider upgrading your account. The Roll20 API provides a powerful way to customize and enhance your game. You write scripts (little pieces of code) that tell Roll20 what to do during gameplay (for instance, move a piece, add a status marker to a token, or even roll dice). It's simple and straightforward to get started, but the possibilities are endless. 1 What do I need to get started? 3 Where can I find pre-made scripts? You write scripts that listen to events that happen during the game. Scripts can check to make sure that rules are followed, change properties on objects and tokens, and even provide custom chat commands. The scripts you write run across the entire game, and affect things the GM does as well as all the players. Advanced scripts can also run independently, performing automatic actions such as moving a token on a patrol route or nudging players when their turn is taking too long. To get started, your first stop should be the Use Guide. Where can I find pre-made scripts? The Official Roll20 API Script Repo on Github. This is where you'll find the current version of scripts that authors have submitted for inclusion in the repo. The Roll20 API Script Forum. This is where scripts tend to show up first and where discussion happens about scripts that are being written or need changes. This is also where you can post and ask for help from the community in creating a script you've thought of, or finding a script to fill a need. The Wiki's API Script index. This is a good source of information about some scripts, but it's not kept very up-to-date. However, if you'd like to document some scripts you find useful, their authors would certainly appreciate it! forum tag for your account as will allow you to advertise via Patreon or Patreon-like sites (see below for more info). To find out what you need to do to correctly submit your script to the repository go to the Official Roll20 API Script Repo. For API script authors that are contributing to the Roll20 API Script Repo, they are approved to advertise via subscription/donation service sites: Patreon and Tippee. Roll20 is not responsible for any payment transactions and cannot enforce any private arrangements. 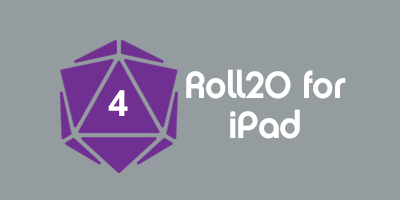 In order to qualify, an API script author must first have their script contribution approved by the Roll20 staff and included into the Roll20 API Script Repo. You will want to include your Patreon or Tipeee account information in the sheet.json file that should be included with your script submission on GitHub. Linking to Patreon or Tipeee on the Roll20 Forums are only permitted for pre-approved community members who have contributing either Character Sheets or API Scripts. If you wish to solicit users directly for funding you may do so privately, but no such links are permitted in a public forum without any contributed material. This page was last modified on 24 February 2019, at 03:24. This page has been accessed 180,930 times.